Mark Spiegel: I'm Not Covering Tesla "Until Zero"
Mark talks about the life of being the most foul mouth Tesla short seller on the street. 3M stock rode the rally up all year, then took a cliff dive from its peak yesterday back almost to where it started the year in just one day -- its biggest plunge in 30 years. The Bull Market in Complacency has resurfaced. Reject it and consider derisking, now. I find myself, after a period of being long of equities, back in the bearish minority again – and I moved back into a net short exposure late in the day on Friday. And, I observe, that many of the same investors who were bearish at the February lows are now bullish at the recent mid-May highs. Fear of a large drawdown seems to have been all but eliminated in the eyes and thoughts of market participants as the Bull Market of Complacency seems to have reappeared. 2017 was a year of hope and anticipation (in large measure because of the optimism surrounding lower corporate tax rates) as price earnings ratios expanded by almost three multiple points. Interest rates were still suppressed and volatility was at historic lows. Last year was one in which Wall Street recovered and prospered better than Main Street. In 2018, markets are more or less unchanged as the reality of instability and inconsistency of policy and economic uncertainty have reemerged. This year, unlike last year, Main Street has thrived and Wall Street has stagnated. And a new regime of volatility has emerged, coincident with a general rise in interest rates – particularly in maturities of ten years or less. 1. A tug of war between fiscal expansion and monetary contraction seems likely to be won by Central Bankers in the year ahead. History proves that the monetary typically wins out of the fiscal particularly since there are legitimate concerns whether the tax cuts will “trickle down” to the consumer. 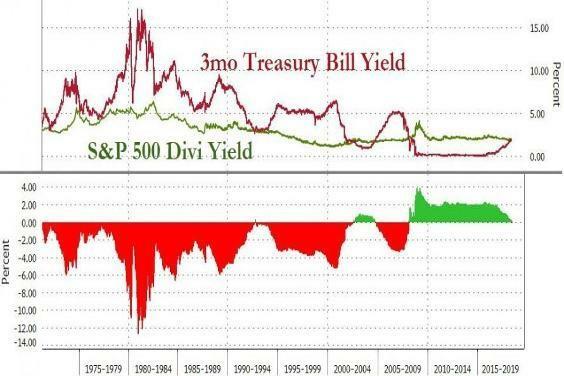 Moreover, we are at a tipping point towards higher rates (in the U.S. and elsewhere) after nine years of interest rate repression in which the accumulation of debt in both the private and public sectors are at record levels. Not only has the Fed turned, but each day gets us a day closer to the end of ECB QE. (The Italian 2 year yield went from -.265% to -.10% in one day). So, risk happens fast when a massive bubble has been created. 2. There is a growing ambiguity in domestic and non US high frequency economic data. Citigroup’s Global Surprise Economic Index has turned down and Citigroup’s EU Surprise Index is at a two year low. U.S. data (ISM, PMI and others) have often failed to meet expectations. Reports are that retail started the quarter weakly and, this morning, retailer Home Depot (HD) missed consensus comp views. A flattening yield curve is endorsing the notion of late cycle economic growth. And, according to my calculus, the yield on the ten year U.S. note (given current inflation breakevens) implies U.S. Real GDP growth below +1.70%/year. 3 . The rise in global interest rates may continue – providing a reduced value to equities (on a discounted dividend model) and serving as a governor to global economic and US corporate profit growth. C.I.T.A. (“cash is the alternative) is getting busy while T.I.N.A. (“there is no alternative”) seems to be without a date to the prom this spring. Meanwhile, the six month Treasury bill yields over 2% (2.09% this morning) and the two year Treasury bill’s yield is over 2.55%. Inflation, too, is likely at a multi-year infection point. I continue to view June/July 2016 as The Generational Low In Yields. Non US yields are at even more unjustified levels and will lead to large mark to market losses over the next few years – imperiling retail and institutional investors and banks in Europe that have leveraged positions in over-priced fixed income. (Just look at Argentina, a country that has defaulted on its sovereign debt on eight separate occasions – most recently in 2001. As a measure of lameness, investors scooped up 100-year Argentina bonds last June). Bonds are in year two of a major Bear Market – fixed income (of all types) are overvalued. 4 . The Orange Swan represents clear risks for the equity markets and for the real economy. As I have written in my Diary and stated on Fox News yesterday afternoon, hastily crafted tweets by the White House are dangerous in a flat, networked and interconnected world. The inconsistency of policy (which seems to be designed and conflated with politics as we approach the mid-term elections) seems to be weighing on business fixed investment plans which, I have learned through many of my corporate contacts, are being deferred (and even derailed) in the face of uncertainty and lack of orthodoxy and inconsistency of the delivering policy by “The Supreme Tweeter” who resides in Washington, D.C.
5 . Investor sentiment has grown more optimistic and fears of a large drop in stocks has been all but disappeared. 6 . Technicals and resistance points mark a short term threat to stocks. Not only has the market risen for eight consecutive days but an important Fibonacci point has been been met (from the January highs). As well, the S&P Index is now at the 2725-2750 resistance level – the upper end of the recent trading range. Yesterday, the lynx-eyed David Rosenberg remarked, on CNBC, that on breadth and volume the rally has been less powerful than recent rallies. 7 . The dominance of passive and price momentum based strategies are exaggerating short term market runs –contributing to a false sense of investor security. Though our investment world exists as buyers live buyer and sellers live lower, beware of a change in momentum that can turn the market’s tide. 8 . After nearly a decade, both the market advance and a sustained period of domestic economic growth have grown long in the tooth. 9. Though market valuations are high they are not too stretched – but other classical market metrics (equity capitalization to GDP, price to book, price to sales) are very stretched. 10. A new regime of volatility, seen recently, might signal a change in market complexion.